From painting to sewing to scrapbooking, crafting spans a wide range of imaginative activities. 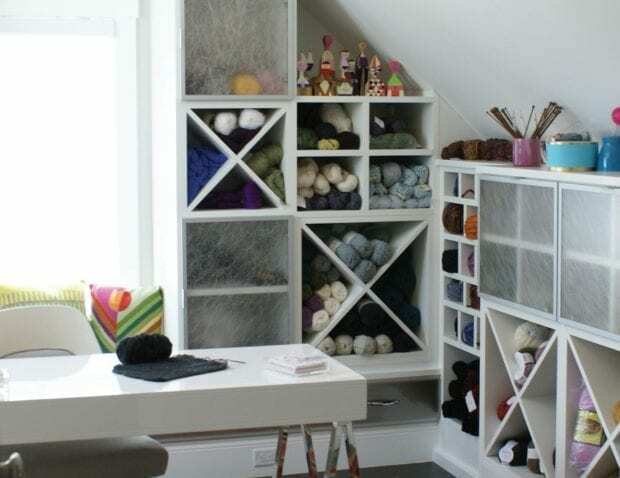 Whether you have a number of creative hobbies or one specific pastime you love, having a craft room can inspire you and help you keep your creativity organized. This way, you can focus on what’s most important — your artistic endeavors. It’s important to understand your storage options and how to use them to design the perfect space for your crafting needs. 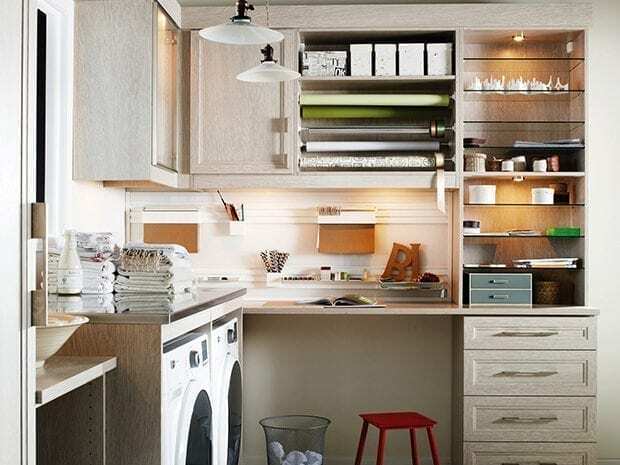 Here are some of the features you might consider when organizing your craft room. A workspace: No matter what kind of crafter you are, you’ll likely need a counter or desk space on which you can spread out supplies and dig into your projects. You might want a long rectangular workspace or a corner (L-shaped) space, depending on how much room you have. If you’ll be crafting along with your kids, you may even want multiple workspaces, so everyone has ample space to create. Cubbies: Open horizontal cubbies are perfect for storing construction paper, leftover fabric, sheets of felt and other flat supplies, while smaller cubbyholes are great for balls of yarn and other odd-sized objects. If you prefer to keep supplies out of sight, partitioned drawers are an ideal option. A slat wall: Slat walls provide open organization by using hanging hooks and storage cups. They make storage easy for frequently used items such as scissors, markers and pencils — you’ll be able to keep everything off your workspace but still within arm’s reach. Pull-out shelving: If you use a printer or sewing machine while crafting, a pull-out shelf is an ideal storage solution. It will give you quick access to the device when you need it and allow you to keep it tucked away when you don’t. Flat pull-outs are also useful if you need to keep stacked paper and clippings handy. Baskets and bins: Store labeled baskets and bins on open shelves for efficient organization and easy access to supplies. These craftroom storage solutions make locating what you need and putting items away a breeze.